We say get the look and DIY! I'm always watching the big name designers. And then we mastermind and suggest how you can get the same look for less from Dunitz & Company fair trade jewelry and accessories. 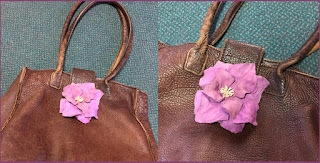 I've previously reported that Gucci models have been donning jumbo flowers on their jackets, collars and handbags for many months. 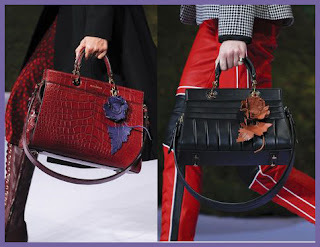 Altuzarra is the latest to decorate their high-end purses with big flowers. Their Fall 2017 ready-to-wear runway show was peppered with these adorned bags. The attached pic illustrates the purses that will set you back nearly $2000! Yes, $2000. They are stunning. We say make a similar statement for a lot less.